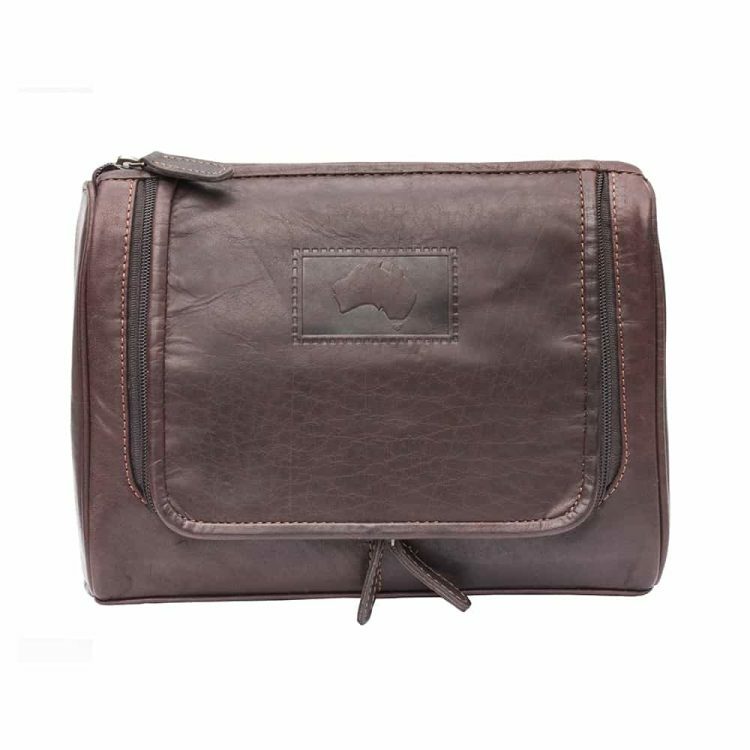 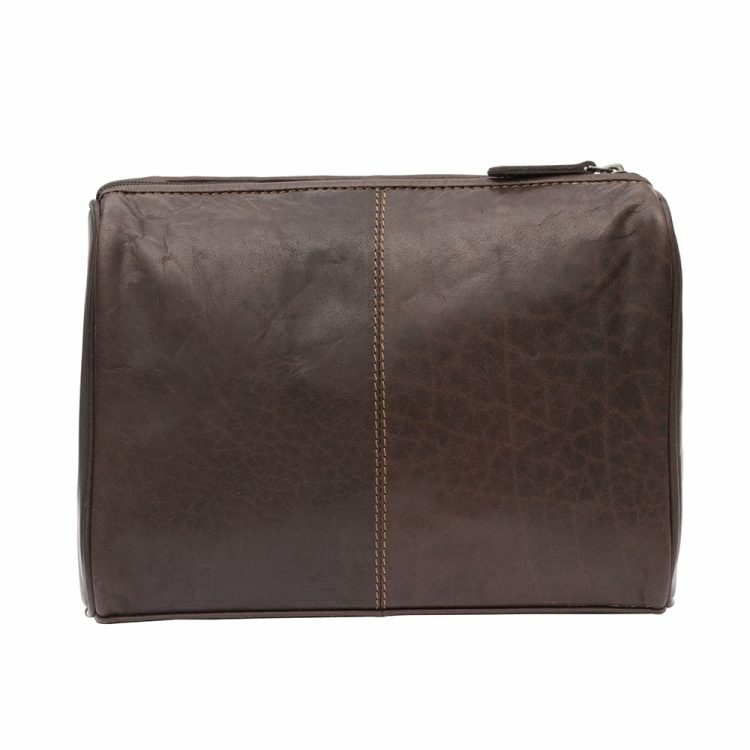 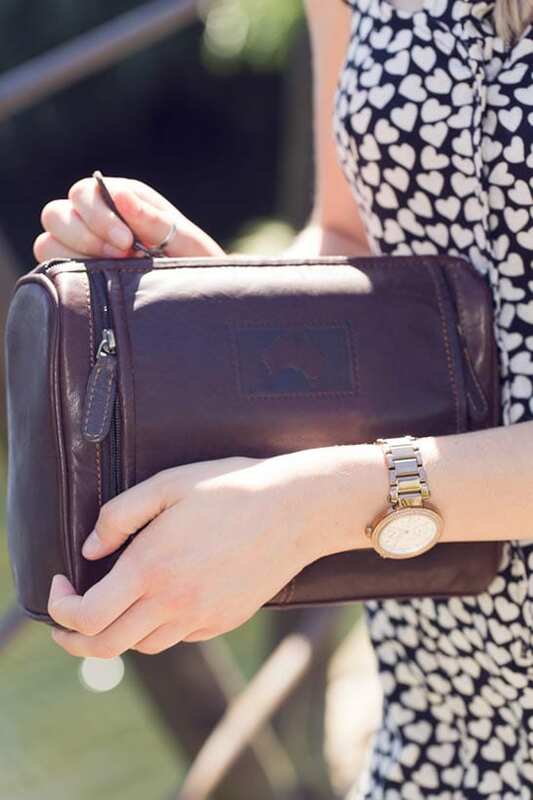 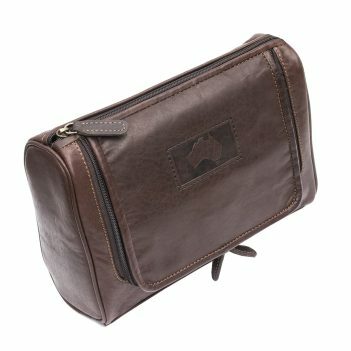 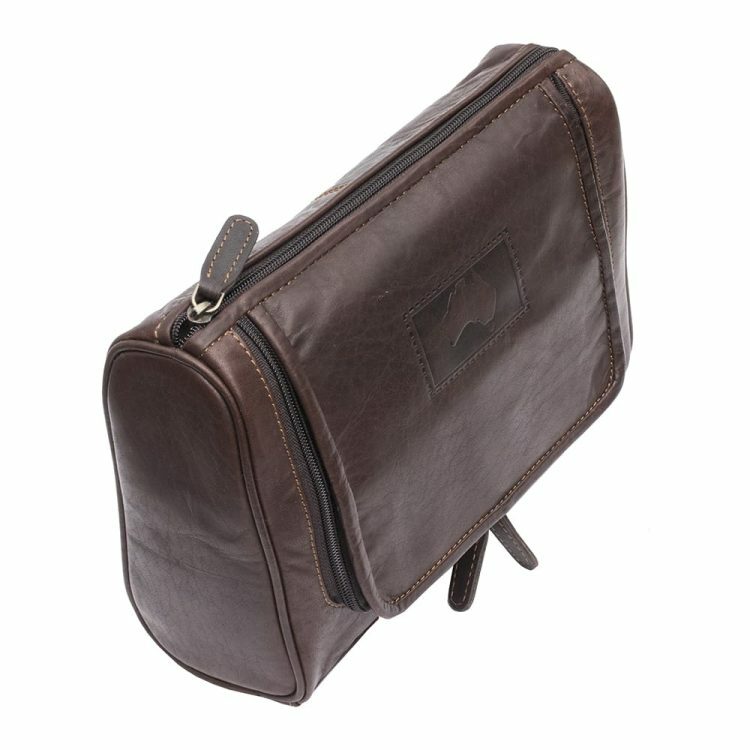 Keep your toiletries together in style with this durable yet classy wash-bag, made from dark brown oiled leather. 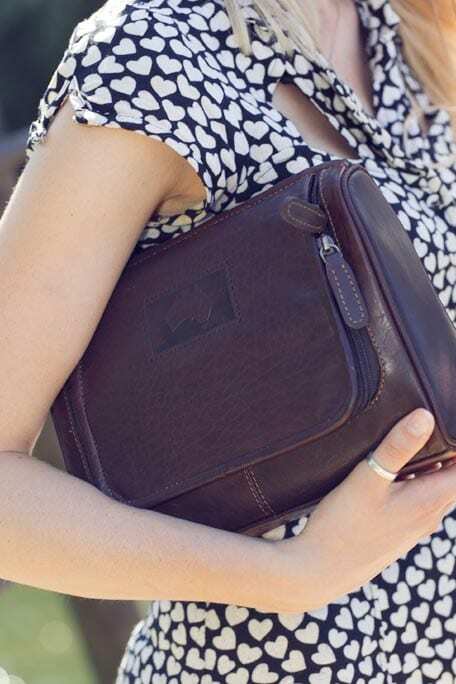 With plenty of zipped pockets and storage options, it’s the ideal travel accessory. 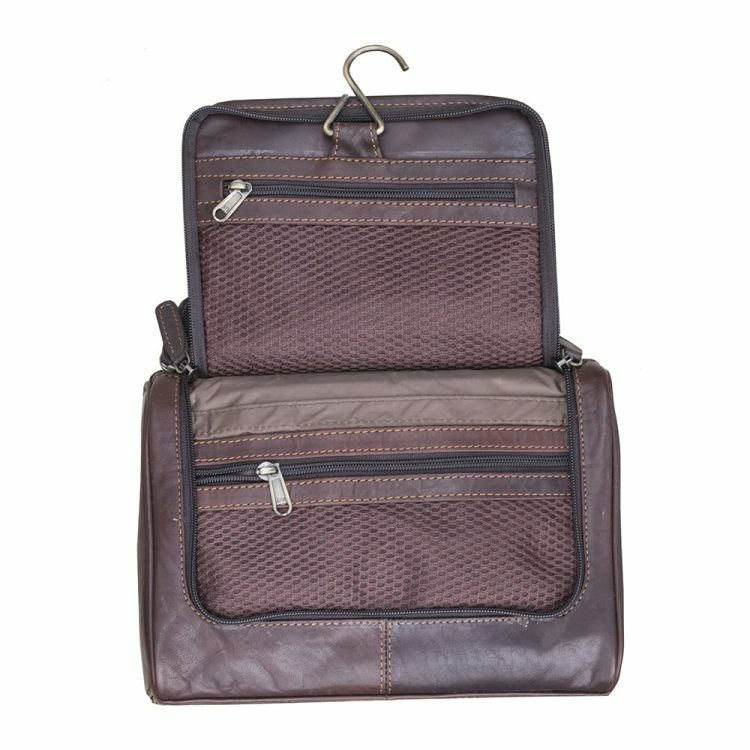 Hang it on the door for a practical and elegant way to save space in your bathroom.